Oprah Winfrey has announced that she is interested in the restaurant business and has made an equity investment with True Food Kitchen located in Phoenix. Her new venture involves a restaurant that is a health conscious eatery and just named one of the leading brands for 2018 according to Fishbowl. The restaurant offers local and organic meals and includes vegetarian and vegan selections. True Food Company did not release the amount of money that was invested by Winfrey in the business. 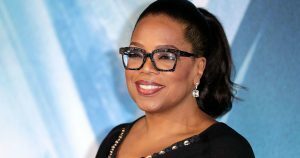 Oprah will be part of the company’s board of directors and act as a consultant, while being the lead shareholder of the restaurant. Winfrey ate at the restaurant with Bob Greene, a friend and health expert. After that experience she decided to pursue and talk to CEO Christine Barone from True Food Kitchen. They met and had lunch at Winfrey´s house, negotiated and discussed the possibility of partnership in the future. When Winfrey ate at True Food Kitchen, she was impressed by the team´s desire and passion for healthy eating. She knows that having a good meal brings people together, so eating delicious and healthy food is what made her decide to become part of the future of the company. Oprah bought and still owns more than 6 million shares at Weight Watchers equal to stake of 10% of the weight loss franchise. Her investment was made public in October 2015 and since then, shares have increased 1,132%. She is now the owner of 8 percent of Weight Watchers. According CEO Barone, True Food Kitchen sales growth reached double digits, but no exact figures have been released by her or Winfrey. Barone said Winfrey’s investment will result in the company doubling its business over the three years. True Food Kitchen wants to move open new locations, with most of them in urban areas or just on the fringe of an urban area. In 2016, the chain only had 12 locations but since Barone joined the company in 2016, it has increased its total locations to 23 and is spread across nine states. Dr. Andrew Weil and Sam Fox are the original founders of True Food Kitchen in 2008. They found the eatery with a healthy menu based on the Weil´s anti-inflammatory food pyramid. The menu includes soups, pasta, burgers, and salads in different types of cuisines such as Asian, Californian, and Mediterranean. Many believe that there is little to no competition since many restaurant operators de not believe that healthy restaurants could compete in the industry, and this has made True Food Kitchen a success.